Recognise potential harm. Choose to respond. Take action. Those were some of the key concepts given to us during bystander Intervention Training. What makes up those concepts, however, is far more complicated. 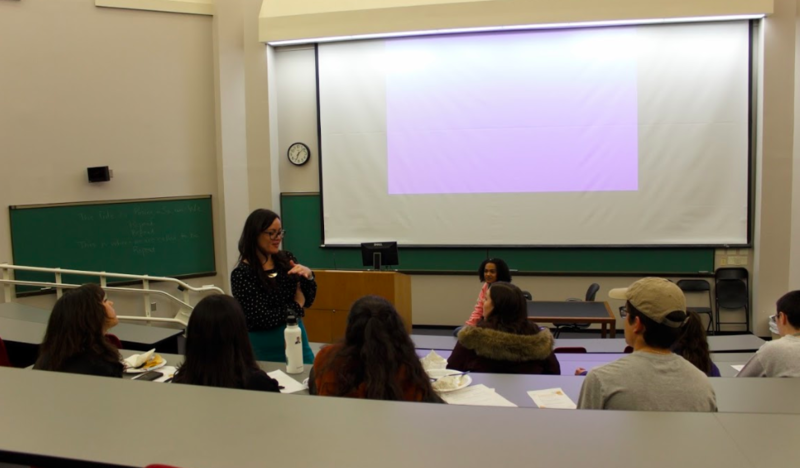 Nalyah Johnson and Lisa Dela Cruz were two Mosaic presenters who put on this particular Bystander Intervention Training, making it clear that while being the bystander is not the course to take, simply acting without thinking isn’t the right course either. Not only did the training come with free Dos Salsas, but it made you rethink what it means to go from bystander to participator in a fun and interactive way. At no point during this training was I bored. In fact, I admittedly learned more than I thought I would. To me, bystander intervention has always been a simple concept. When you see something happening, instead of standing on the sidelines, you just jump in. Come to find out that is exactly what not to do. We’ve all seen it happen in movies, like when Mia Thermopolis from The Princess Diaries finally rubs ice-cream on the shirt of her arch-enemy while the audience cheers take that ya bully! Or when Hermione in Harry Potter and the Prisoner of Azkaban finally punches Draco. The difference is putting those into real life; while great on film, the reality is that handling those scenarios in the way they did on-screen won’t translate well off-screen. Sure we all know in that scene Malfoy turns to literal jelly, but what if real-life Draco fights back? Going into a situation without recognising the harm could potentially make what you’re trying to mend worse. You definitely won’t be able to choose the best way to respond properly if you aren’t aware of what’s actually happened. In turn, not responding well could mean that although you took action, it probably won’t help as much as expected. The intervention training was put on by Southwestern’s Mosaic. A similar concept to Paideia in some ways, but definitely not the same thing. Both focus on making connections, however, while Paideia is making connections between academic disciplines, Nalyah Johnson let me know that Mosaic is making “connections with everything” and that “it’s changing constantly”. Nalyah Johnson also informed me that one of the main takeaways from Mosaic as a whole is that it “targets all students”, and it really is an initiative to encourage students to “develop as a whole person”. So how do you properly go from bystander to someone that successfully intervenes? I’d tell you, but it’s better to go to the training (I highly recommend it). The next Bystander Intervention Training session is 12 p.m. – 1 p.m. April 12 in the Lynda Ballroom, Dos Salsas will be provided.